Homeopathy means “Same Suffering” or “Same Disease”. It was founded in the late 1700’s by Samuel Hahnemann. This German doctor disagreed with many of the practices of his medical colleagues, especially those of prescribing large amounts of what he considered dangerous drugs. Hahnemann began to experiment on himself with the plant that comprised the main ingredient of the drugs commonly used to treat malaria. He found that as a healthy person taking this medication, he began to develop the symptoms of malaria without actually having the disease. With this discovery, Hahnemann began experimenting with other natural substances, both on himself and volunteers. His findings, lead him to the belief that the true method of action of most drugs was to induce a state within the body similar to that of the disease or condition which it was designed to treat. Hahnemann called this “The Law of Similars”. 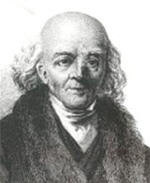 Hahnemann went on to experiment with the smallest doses of a given substance that would cause the desired effects. He found that even doses of substances so small that they were not detectable in water, could cause the “similar” reaction in healthy people. Hahnemann developed a process for manufacturing these low dose remedies that is still in use today. Homeopathy spread across Europe and into American during the 1800’s. In the 1820’s, the Homeopaths Constantine Hering and James Tyler Kent added to Hahnemann’s theories. Hering developed the “Law of Cure” which described how homeopathy worked, and Kent the concept of “Constitutional Types”. The 15 constitutional types describe the basic body and personality make up of homeopathic patients. The homeopath will determine your type before prescribing a remedy for your condition. The remedy will be designed to balance your specific constitutional type. As with most professions there are differences of opinion within the homeopathic community. Homeopaths can be divided into two basic groups, the “Classical Homeopaths” and the “Clinical Homeopaths”. Classical homeopaths utilize the concept of constitutional types and will prescribe remedies to balance your type regardless of the specific disease condition. Clinical homeopaths, on the other hand will use their remedies to treat your specific disease condition. Whether clinical or classically, homeopathic remedies are made from naturally occurring substances, including plants, minerals and animal products. Homeopathic education is not regulated within New Zealand, however, a register is kept by the homeopathic community in an attempt to standardize and regulate homeopathic education. Typically, homeopaths are medical doctors, naturopaths or chiropractors who have taken additional training in homeopathic methodologies. If this sounds interesting to you, call Roughan Chiropractic for more information.